Who Created the First Modern Hospice Care? There is no doubt that hospice care provides an invaluable service, one that helped 1.43 million Medicare recipients in 2016 alone. But when did hospice care first begin? The word “hospice” has been used throughout the world since the mid-1800s. At that time, it wasn’t as much a structured service as it was a name applied to the act of caring for people at the end of their lives. Today, hospice means so much more. It’s about providing support and improving the quality of life for those who need it the most. Illness doesn’t have to mean suffering. It can mean caring and comfort—that is what hospice provides not just to those who are sick, but to family members and friends, too. So where did hospice care get its start, and how has it changed? 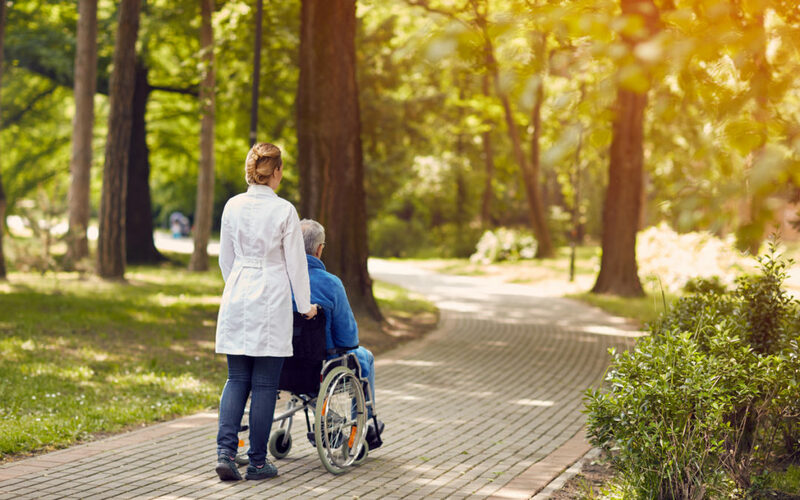 What Is the History of Hospice Care? While most historians consider the mid-1800s to be the beginning stages of hospice care, you can trace the roots of the word back to medieval times. In those days, hospice referred to a place that would give tired travelers shelter. Even then, hospice meant providing care and support. The first physical hospice was run by the Knight Hospitaller of St. John of Jerusalem. At some point, the practice died off with many of the religious orders. But the concept was resurrected in the 17th century by the Daughters of Charity of Saint Vincent de Paul. By 1900, France had eight hospices. The practice of using hospice to care for those critically ill and dying started to spread to other countries around this time, including the United Kingdom and Australia. It wasn’t until 1967 that the United States would see its first modern hospice open. Many worked to make hospice what it is today, but few were as instrumental as Dame Cicely Saunders. Saunders was an English Anglican nurse, and later a physician, who worked with international universities. Dame Saunders is known for giving birth to modern hospice. Her work with the terminally ill began in 1948, and she opened the first hospice service, called St. Christopher’s Hospice, in London. In 1969, Dr. Elisabeth Kubler-Ross wrote On Death and Dying, a book which identified and described the five stages that a person who is terminally ill goes through after the diagnosis. Dr. Kubler-Ross wrote enthusiastically about providing home care to the terminally ill instead of putting them in institutions. Later, in 1972, Dr. Kubler-Ross appeared before Congress to speak about dying with dignity. She advised that patients and their families should receive greater support to allow individuals to die with dignity in their homes. At the time, the prospect of caring for a sick loved one at home was almost impossible due to the lack of a support system. Kubler-Ross suggested setting up a program that included visits from nurses to provide the family and patient with the specialized care they need to spend those final days together in comfort at home. Legislation was introduced, but not passed, that would provide federal funds to support hospice programs in 1974. It wasn’t until 1982 that Congress successfully created a plan for hospice care. In 1986, the Medicare Hospice Benefit became law—twelve years after Dr. Kubler-Ross appeared before Congress. In 1965, Florence Wald was the Dean of the Yale School of Nursing. Interested in Dame Saunders’ work with dying patients, she invited the doctor to become a visiting faculty member of the school. Wald went to London in 1968 to learn more about hospice care, bringing the principles back to the U.S. for others to study. In 1974, she opened the Connecticut Hospice in Branford, the first hospice program in the United States. Although the mechanisms behind hospice care have changed since medieval times, the basic principles have not. The modern hospices of today are committed to improving the care of patients with terminal illnesses and allowing them to make choices about where they want to stay toward the end of their lives. Hospice builds a support system around the patient and family members to ease them into those final days with pain management, comfort, and dignity. For more information about modern hospice care, give us a call today.